Using War-on-Ice.com data, as you can see the numbers generally settle into a typical league range after the players have reached about 20 games played. 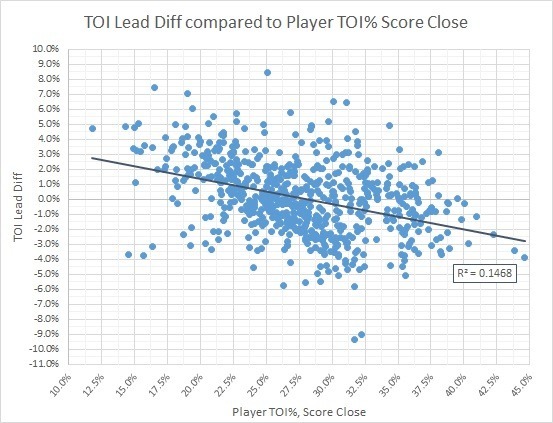 From about 50 GP onward, you really don’t see anybody go far beyond the +/- 5% range, which suggests that this kind of deployment is largely left to replacement players or (possibly) players that are dealing with injuries. 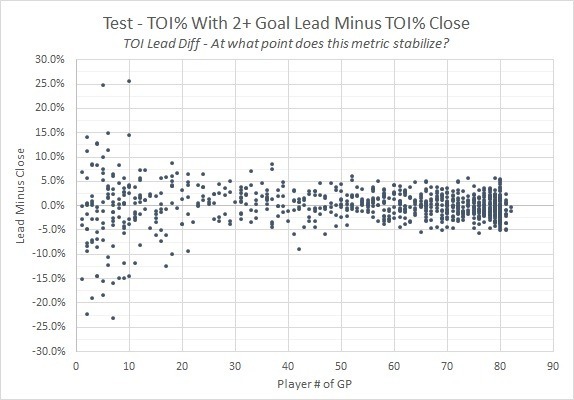 So, removing players with 19 GP or less, now I want to see just how strong the relationship is between this variable and player TOI% with the score close (generally, a trust-in-coaches “good vs. bad” player metric). Without a doubt it seems, at least at the tails of this measure, that there are good players at the top and bottom 6 players at the bottom. Nashville and Columbus certainly seem to be using this idea at a level a bit higher than others, and reasons for doing so could include depth or conditioning issues. Also, I’m not sure what the heck Barry Trotz is doing with Tom Wilson (maybe he fears minor penalties). 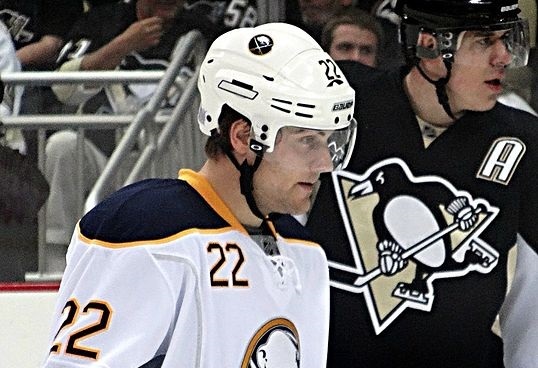 There are a couple of guys in the top group that have a reputation as “shutdown” guys (Marcel Goc, Dominic Moore), but they seem to be the exception.